This cool vest is just what you need for your next festival. 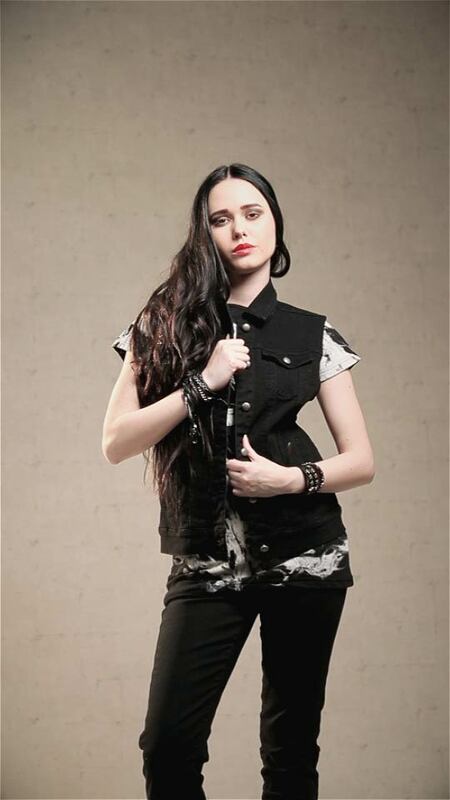 Our denim vest by Black Premium by EMP features a lot of convenient pockets on the chest and on the inside. Create your individual look with patches from your favourite bands. Bought this to start my battle jacket ready for festival season this summer! I got a large and it fits lovely over the top of a hoodie which is exactly what I wanted (I'm a size 12/14). Lovely to wear and to stitch patches onto. Would buy again if I start another jacket! This vest is so much blacker than others that I'd been looking at and it looks absolutely stunning covered in patches. It's a sturdy material that feels good to wear. I only wish I'd bought the next size up so that it hangs more loosely on me but I can only blame myself for not paying much attention to the size chart. Would definitely consider buying another one in the future. I bought a Medium which fits me perfectly! It has outside pockets (which aren’t fake!!) and inside ones too. Lovely soft material which is a plus! Perfect for sewing/ironing patches onto to create a patch jacket as that it is exactly what I am using it for and have reveived so many compliments on it! Love it! My boyfriend got me for our anniversary, I've been wanting to start a patch jacket for a while now and the quality of this denim vest is perfect for that, just need to start getting some patches together now and get himself to star sowing! haha The vest is soft but quality material and was an absolute bargain at the price he paid! !